A historic university town an hour north of Stockholm has plenty to keep you busy for a day or two – and a lot of it is free! 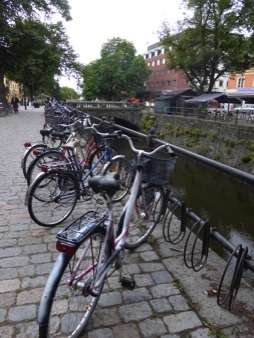 The lively, attractive university city of Uppsala has a lot to offer. 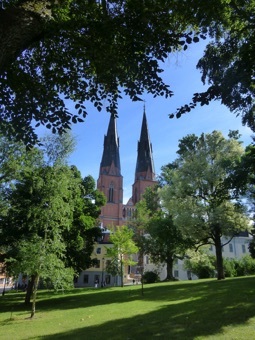 History, culture and great shopping combine with a liberal scattering of gorgeous green spaces to make Uppsala a worthwhile destination for tourists and travellers of all ages. Just one hour from Stockholm by train, Uppsala can be seen in an easy day trip from the capital. 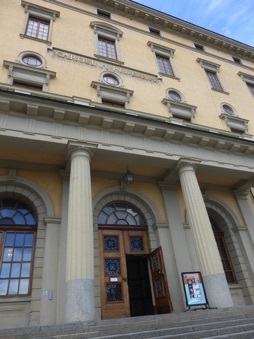 But to really appreciate all that Uppsala has to offer, consider spending a night or two. The city also makes a great place to break your journey if you're heading north. The historic site of Gamla Uppsala, 5km north of the city, is a must-see. There are 300 burial mounds here, dating from the 6th to 12th centuries. The earliest of these mounds are also the largest – three enormous hillocks that dominate the surrounding landscape. Myth and legend surround the mounds – one popular suggestion is that they contain the remains of three pre-Viking kings: Aun, Egil and Adils. Gamla Uppsala was believed to be the site of a pagan temple, where it's said human sacrifices were made every nine years in honour of the Norse gods Odin, Thor and Freyr. 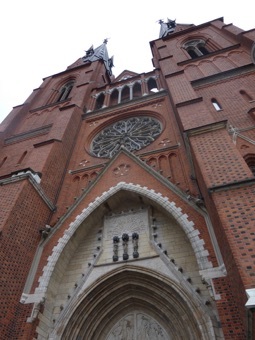 When Christianity arrived in the 12th century, a cathedral replaced the temple – a remnant of the cathedral still survives in the form of the present-day church that stands on the site. 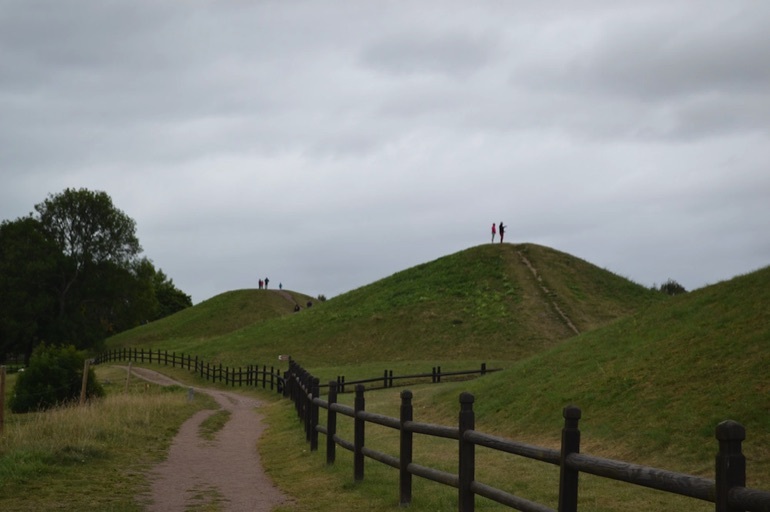 It's possible to climb up to the top of one of the mounds, giving a great view across Gamla Uppsala. A path leads around the three royal mounds, with information boards at intervals – or find out more in the museum (entrance charge), which contains artefacts from the graves. Carolina Rediviva (meaning “Carolina revived” – the current building replaced an older one) is the University library. It's one of Scandinavia's largest libraries, and is spectacular inside and out. Carolina Rediviva is home to some five million books. These are displayed in vast, high-ceilinged halls, in bookshelves several storeys high that are linked by spiral staircases. If this place doesn't inspire learning, then nowhere will. At the front of the library there's a small museum, with a fascinating selection of rare, ancient and extraordinary books – as well as letters and manuscripts – on display. The most famous of these is the 6th century Codex Argenteus or Silver Bible – a translation from Greek to Gothic of the four gospels. Written in gold and silver ink on thin, purple-tinted parchment, and exquisitely illustrated, it is considered to be Sweden's most precious book. Keep an eye out, too, for Mozart's original manuscript of the Magic Flute. Starting early spring 2017, parts of Carolina Rediviva will be closed for renovation. There are green spaces a-plenty in Uppsala. 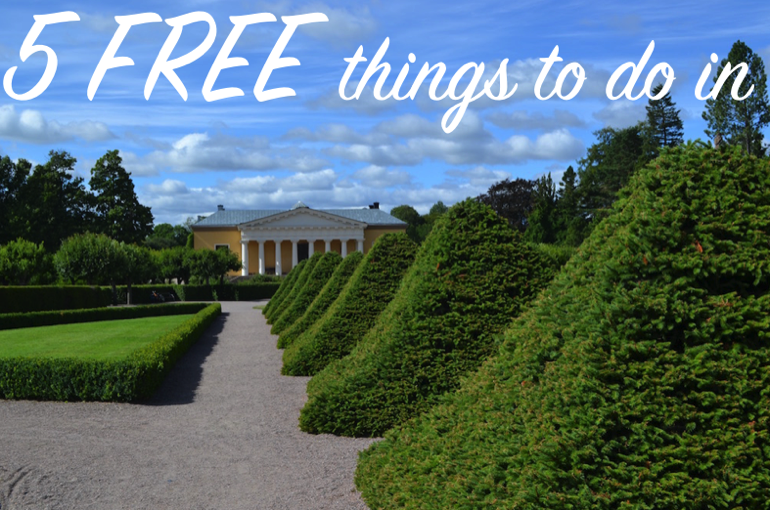 One of the nicest places to head for is the Botanical Gardens, situated just below the pink, domed towers of Uppsala Castle. 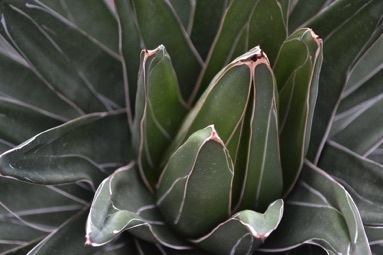 The shaded paths, impressive topiaries and varied planting – more than 9,000 species of plant grow here – are a wonderful place for a wander or a picnic. 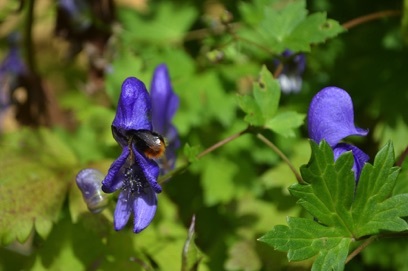 Birds flit about in the bushes and trees, and bees and butterflies work their way along the rainbow colours of the flower borders, in search of nectar. 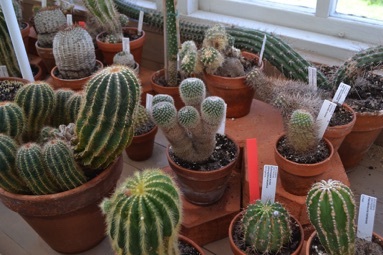 Don't miss the 200-year-old Orangery, where a cactus house showcases all sorts of weird and wonderful succulents and cacti. 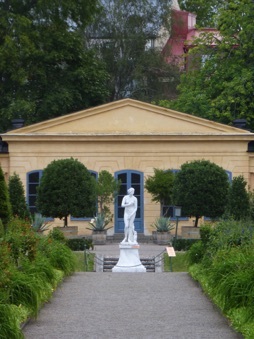 For a further garden fix, head for the beautiful Linnaeus Garden (entrance charge). 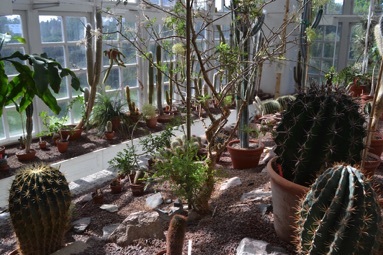 This is Sweden's oldest botanical garden – it was first established in 1655, and then redesigned in 1741 by Carl von Linne (known as Linnaeus). 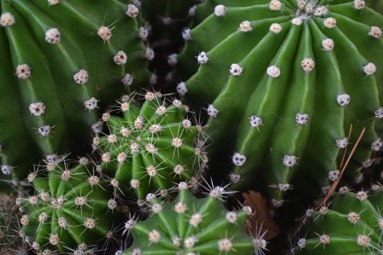 Linnaeus introduced the world to the concept of binomial classification – in which plants and animals are given a name consisting of two parts, as in, for example, 'homo sapiens'. 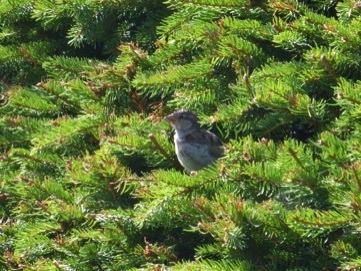 The 1,300 species in the garden are arranged according to this system of classification. 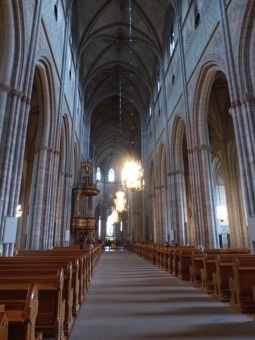 Uppsala's Domkyrka is Scandinavia's largest – and tallest – cathedral, towering over the centre of the town and visible from most points across the city. Originally built in the 1200s, nobody knows what the original medieval cathedral looked like – no drawings survive, and damage by fire and age have resulted in the need for several major renovations. For example, the twin spires that can be seen for miles around were added in the late 19th century. Inside, the vast interior is lit by huge, ornate chandeliers and flickering candles. Colourful frescoes adorn every available inch of wall space, and the domed ceilings are covered with beautiful, intricate patterns. 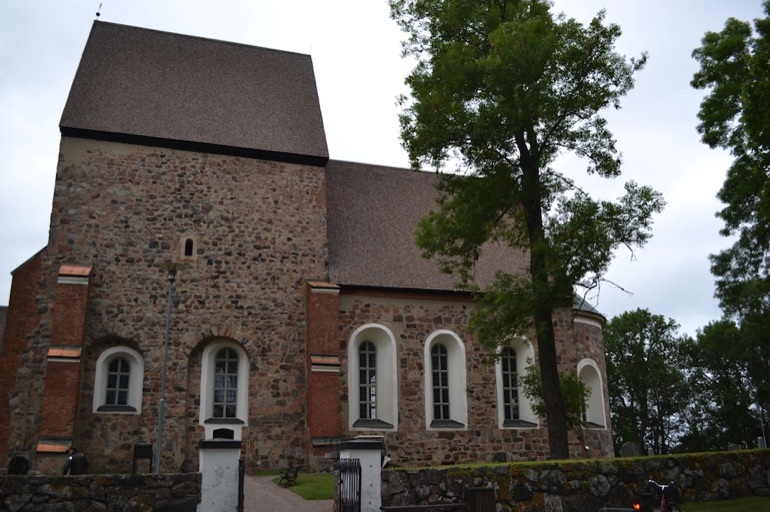 Various kings and queens are buried here, as is Linnaeus, and Archbishop and Nobel Peace Prize Laureate Nathan Söderblom – who, in 1931, was the last person to be buried in the cathedral. 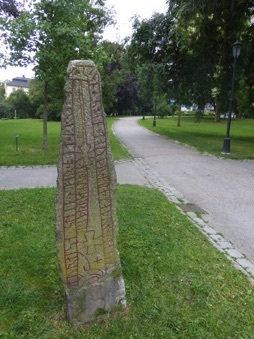 Just outside the main entrance of the Domkyrka, in a lawned, leafy park, are several runestones – see if you can find them all! 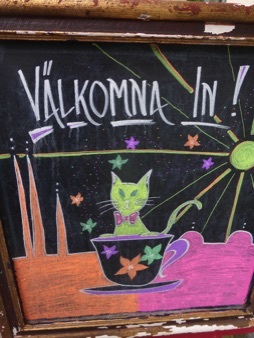 Uppsala is a fantastic place for a little retail therapy, with an excellent choice of chain stores as well as many independent speciality shops. The English Bookshop is just the sort of shop you'd expect to find in a university town. 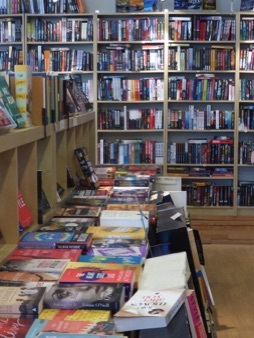 With around 11,000 titles to choose from, customers are encouraged to take their time browsing the shelves – comfy chairs and gentle music make this a truly relaxing shopping experience. 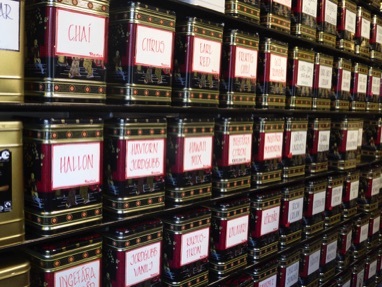 Just across the road is Tehörnan – a tea-lovers paradise. 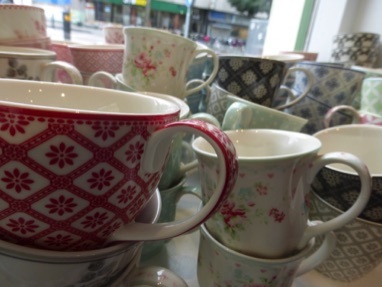 A family business that's been in operation for decades, Tehörnan offers a staggering range of loose-leaf teas, as well as all the paraphernalia needed (teacups, teapots, strainers etc) to make a perfect cup of tea. A classic Tehörnan blend is Uppsala Blandning – an aromatic combination of black tea, apple, cinnamon and lemon. If you're looking for an eco-friendly option in Uppsala, Park Inn by Radisson is a good choice. Housing 95 comfortable, modern rooms in a former crafts guild building – and located a short walk from the central train station – it's stylish, convenient option. The hotel's Think Planet policies help guests to reduce their carbon footprint while staying at the hotel, minimizing impact on the environment. 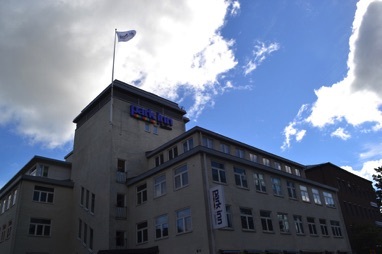 Park Inn by Radisson has been awarded the Green Key Certificate for its environmental efforts. 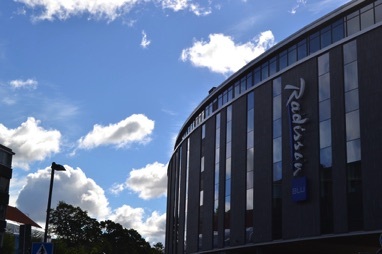 Radisson Blu Uppsala is another environmentally friendly hotel. Sharing the same Think Planet policies as Park Inn, and also awarded Green Key eco-label, it's a stunning, curved building that's situated right opposite the train station – making the use of sustainable public transport a breeze. Radisson Blu has 185 bright and modern rooms – many with sweeping views across the city. A wellness centre – also with great views – offers a chance to unwind and relax, with a sauna and free weekly yoga classes for guests.